Johnson Controls announced that its PowerSeries Pro is the first ever commercial grade security system to harness the long-range communication technology of PowerG and is designed to handle large-scale installations. "In the past, we have had systems that support commercial applications, but PowerSeries Pro is our first commercial intrusion security panel that can handle large commercial installations while eliminating the need for wires on sensors or keypads," said Jennifer Doctor, senior director of Product Management, Tyco Security Solutions. "We are excited to provide this new product to the commercial sector, and hope the increase in zones, coupled with secure encryption, will provide end users with the flexibility and reliability they need." 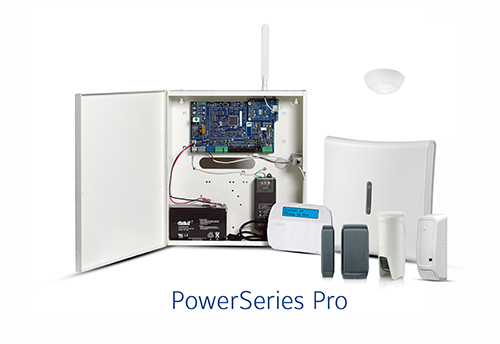 Tyco security solutions' PowerSeries Pro includes built-in 128-bit AES encryption technology, supports multiple third-party integrations, including Building Management Software (BMS), as well as video and access control solutions to offer a versatile platform for holistic commercial security. In addition, Frequency Hopping Spread Spectrum technology repeatedly switches frequencies to minimize interference of radio signals and prevent interception and obstruction during transmission. This is especially useful in commercial integrations, where transmissions take place over longer distances, and in turn require more planning to combat potential interferences security threats. Requiring no drills, wires or repeaters, both residential and commercial installations are hassle-free and provide all the power and security of a wired connection, without the wires. For more information, visit www.dsc.com/PowerSeriesPro.